Volunteering with Goodwill. Help us empower your community. Adults ages 18+. Volunteers have the opportunity to learn about our programs and do something positive for our community. Volunteering is also a great option for individuals who are considering a career change, are currently retired, are looking for employment, or simply want to fill some spare time. High Schoolers. Goodwill® partners with several schools to help students identify career interest(s), assess employability skills and develop skills and attitudes necessary for employment. 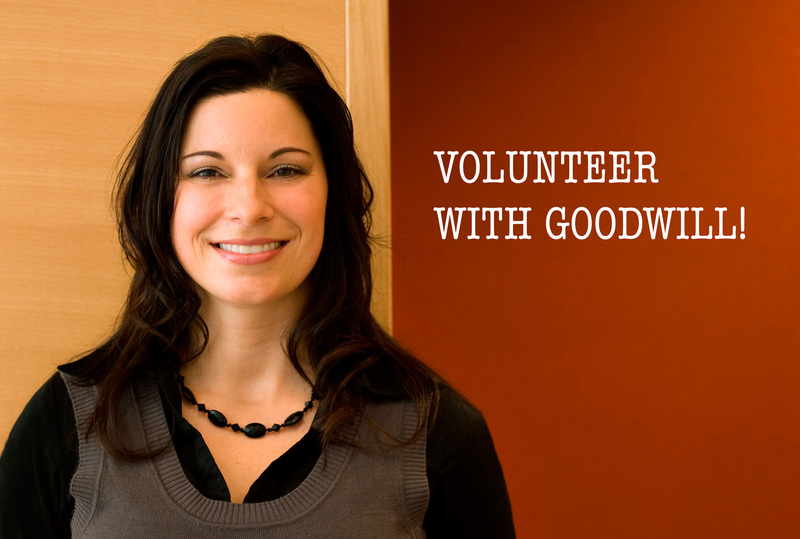 Are you interested in volunteering with Goodwill? Start the process today! Please complete and submit the online form below. If you have any questions or concerns, please include them in the notes section of the form. How many hours would you like to volunteer weekly? Where did you hear about Goodwill of Southern Arizona's volunteer opportunities? Briefly discribe why you want to volunteer with the department or program you chose above. Please upload your resume if you feel it will help us in find you the right volunteer opportunity at Goodwill. In order to perform volunteer hours with Goodwill of Southern Arizona, all community service positions require a background check for any convictions directly related to the volunteer positions duties and responsibilities. Only position related convictions will be considered and will not automatically disqualify the candidate. Successful completion of an online orientation will also be required prior to placement at any of our locations. Goodwill has multiple youth programs that are looking for qualified volunteers that can support youth in our community to succeed in school, gain job skills, and develop through self-empowerment. If you are looking to volunteer with one of our youth programs, please visit the program pages below to help you decide which program is right for you. WE ARE RECRUITING FOR AMERICORPS VOLUNTEERS! AmeriCorps and Arizona Serve are recruiting candidates for Goodwill’s youth programs. Below are the position descriptions as well as a cheat sheet on what state candidates can expect. Members earn stipends for completing hours and their service as well as earn scholarships towards their education. Thank you for your interest in volunteering your time to support our mission of employment and job training programs. We could not do what we do for the community without the generosity and hard work of our community.